JEDDAH – 7 August 2018: Saudi Arabia’s General Authority of Civil Aviation (GACA) has selected global IT provider SITA to support the modernization of the country’s biggest airports, implementing a sweeping transformation of airport and communication technology across 26 airports. The new implementation marks another major milestone in the decade-long partnership between GACA and SITA. The new technology is vital to improving the overall passenger experience while preparing the airports for an expected surge in passenger numbers over the next few years. Passenger traffic across all Saudi airports climbed to 92-million in 2017, a 7.7% increase compared with the previous year. As part of the technology upgrade, SITA is implementing its AirportConnect® Open platform which allows airlines to work seamlessly at airports using common facilities while delivering a smooth self-service experience from check-in to boarding. AirportConnect Open provides future-proof infrastructure which will enable the implementation of cutting-edge solutions such as biometric single-token travel and common-use payment systems. It is also supported by the introduction of new Wide Area Network (WAN) and Local Area Network (LAN) connectivity across all airports. In addition, SITA is providing GACA with a state-of-the-art baggage management solution in line with industry standards, enabling GACA airports to meet the baggage tracking requirements of IATA’s Resolution 753. SITA will help airlines track and capture baggage data at check-in, loading onto the aircraft, transfer and on arrival. 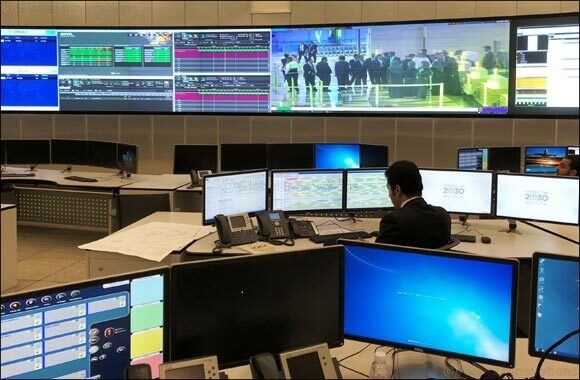 At the same time, SITA’s Airport Management solution and Flight Information Display System is being deployed in Jeddah’s King Abdulaziz International Airport, providing real-time information critical in helping GACA proactively manage their resources across the airport. This will also empower the operations teams to plan for events before they happen, while ensuring that they have the right people and equipment in place at all times. The Airport Management solution is being rolled out in an additional 21 GACA airports before the end of the year. SITA has also introduced Airport iValidate gates at Jeddah’s King Abdulaziz International Airport and Riyadh’s King Khalid International Airport. iValidate is a traveler document authentication system that enhances security and accelerates passenger processing by automatically verifying all types of boarding passes, including mobile boarding and home-printed passes.